Things seemed so normal on the evening of Wednesday, April 17 in the community of West, Texas. Suddenly, that no longer was the case. There was a fire near the local fertilizer plant and a little later, an explosion that left a path of devastation, immediately changing the lives of many in that small, typical town in Texas. Soon after the news of this disaster, others from throughout the state of Texas and elsewhere, showed their concern and care from the ‘bottom of their hearts’! Right here, in the city of Pleasanton, joined by other caring folks in Atascosa County, there was a quick response. 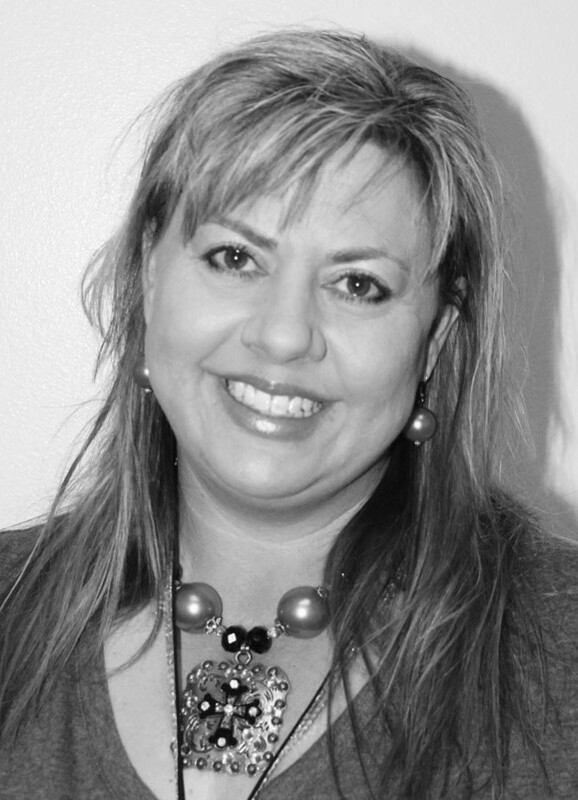 Locally, Shawnene Edmondson, who is employed at the City of Pleasanton Police Department. sprang into action. She began organizing a relief campaign in the community. Very quickly, all kinds of donations from caring folks came pouring in. Let’s begin with words from Shawnene that relate the story, starting when she first heard about the grave situation in West, Texas. “I grew up in the small town of Charlotte and I can’t even imagine something of that magnitude impacting our small town. “I had planned on having a garage sale that Saturday at my home in Pleasanton and decided to post on Facebook that I was going to cancel the sale and take what I had to West. “I went to work and spoke with my boss, Chief Ronald Sanchez, from the Pleasanton Police Department, to ask permission to have a drop-off site at the police department. “He, without hesitation, thought it would be a wonderful idea. I spoke with our City Manager, Bruce Pearson, a native of Waco. He, without hesitation, said ‘yes’ to allowing our city offices to be drop-off points for people to bring items. This hit close to home for him as well. Shawnene serves at the police department as an Administrative Assistant/ Records/CID Manager. “The Poteet Library and the Cam Center administered by Reverend Jones, also jumped right in, getting donations. South Texas Regional Medical Center showed up with supplies – Cato Stores brought new clothing by – Dollar Tree brought items as well. “David Douglas, owner of Ranchscapes Trailers, when called upon for use of a trailer to transport items, jumped in not to only offer a trailer, but use of the trailer (himself) and truck. “TnT Truck Accessories and Graphics made a sign for us to hang on the trailer so people could know where to drop off items. Golden Chick saw us Sunday at Ranchscape Trailers accepting donations and showed up with cold tea and, later, fed us.” “What a community! 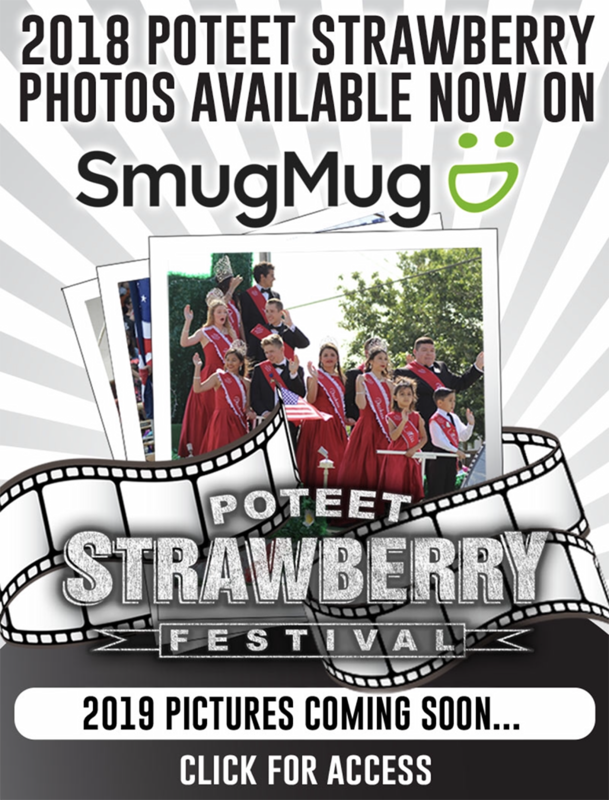 “I posted on Facebook’s site for Pleasanton/Jourdanton Online Sale and Trade and the response was overwhelming. Everyone wanted to donate! “Monday, April 22, my husband, Ron and David Douglas and I headed out to West. As we entered West, media was everywhere you looked – law enforcement very visible and trucks from Red Cross and Disaster Relief Programs all over. “We passed homes that were blocks from the explosion with boarded windows. In downtown West, boards covered what previously were glass windows of businesses. As we passed the fire station, we were quickly reminded of those that lost their lives that night. A fire truck with a huge wreath hung on the front of the truck parked in front of the station, and at the tallest point of the ladder, was the American Flag. “Children were at school, playing in their school yard, reminding us life does have to go on. “We were greeted with smiles and as we started unloading the trailer, people trickled out of the building to assist. The main person for the VFW told us we were ‘Angels’ for showing up when we did. They kept thanking our community for all the donations. They even insisted that we stay because Mark’s mother was sending chicken from a local business, Bush’s, for us to eat with everyone else there. “One gentleman pulled up on a motorcycle. He had a Combat Vet jacket on. He didn’t say much, but just started helping unload. One lady that stuck out in my mind was an older lady. She spoke of how she lived outside of town and felt the blast and knew so many in the town and was related to many. She had been there helping hours on end. She had a smile and a hug to offer, without hesitation. She asked to exchange emails. She wanted to stay in touch. “As we continued to talk, she said, ‘You know, one of the firefighters killed was my nephew.’ All I could do was to hug her. “These beautiful people were grieving. Some had lost their homes and others were just needing as we were. They made time for their fellow neighbors. “I left West with a huge impression on my heart of a small, Czech community, that in its darkest times, never once stopped working together, caring for their own and so many who showed up to help. 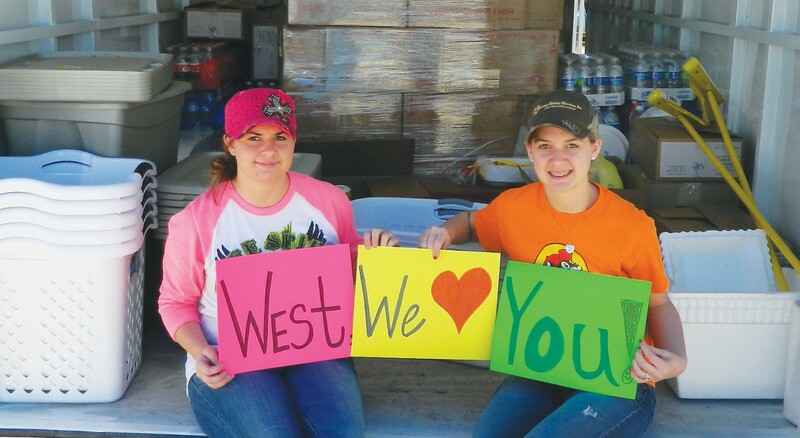 “A huge ‘Thank You’ to Atascosa County – the businesses and everyone who came together for the town of West, many knew little of until the news on April 17, 2013. Your thoughtfulness and generosity was greatly appreciated by the Community of West.